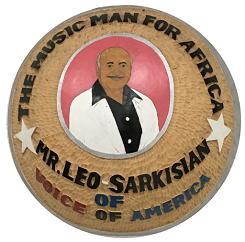 To millions of Africans, Leo Sarkisian is the “Music Man for Africa,” who returned their music to the airwaves of the post-colonial continent. To Voice of America (“VOA”), a federal agency charged with representing American “thoughts and institutions” overseas, Leo (as he is universally and affectionately known) is the founder and producer of the longest running radio program broadcast to Africa. To music scholars, Leo is a fellow musicologist, as well as a skilled audio engineer, musician, artist, and proponent of African musical heritage who amassed one of the most important – and least heard – collections of African music in the world. Recording an unidentified group of performers, 1960s. 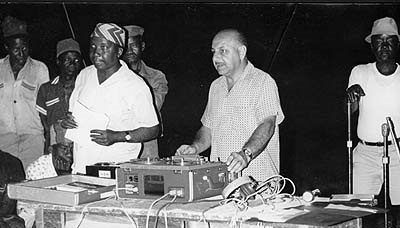 Leo Sarkisian recording in an African village, 1960s. Leo Sarkisian with radio broadcasters, 1960s. 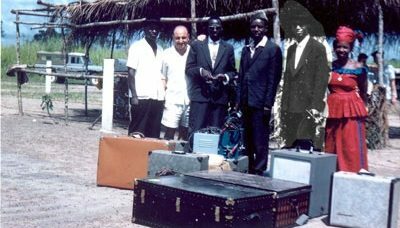 Leo Sarkisian in Africa. Photo taken from VoA Blog. 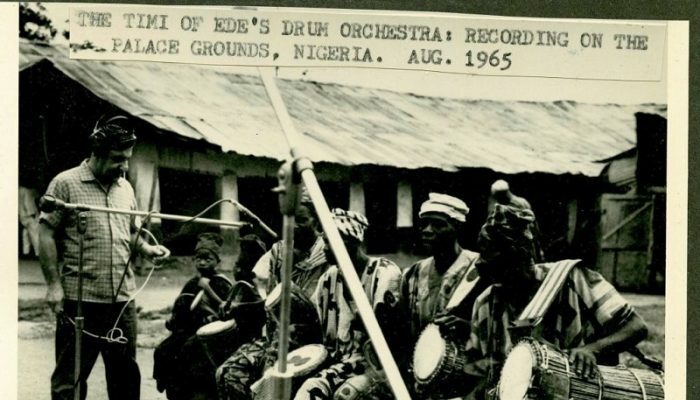 Leo Sarkisian recording a drum orchestra in Nigeria, 1965. 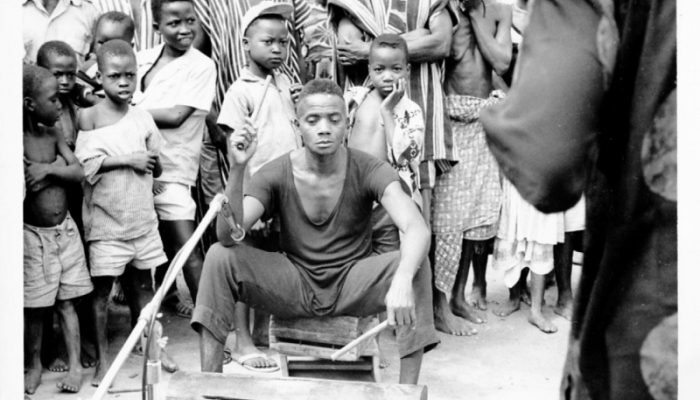 Recording an unidentified drummer in African village, 1960s. 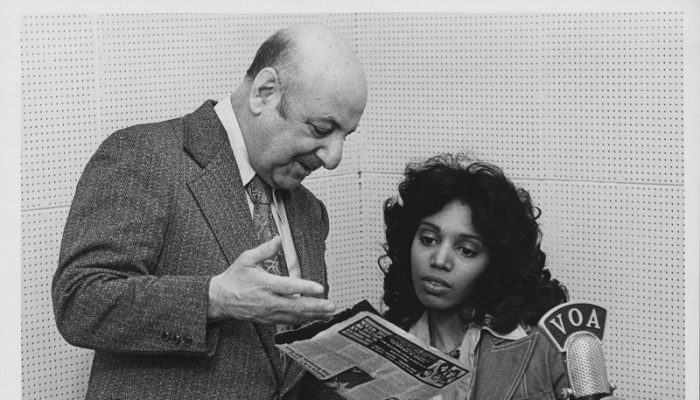 Leo Sarkisian and Rita Rochelle, Voice of America, 1970s. 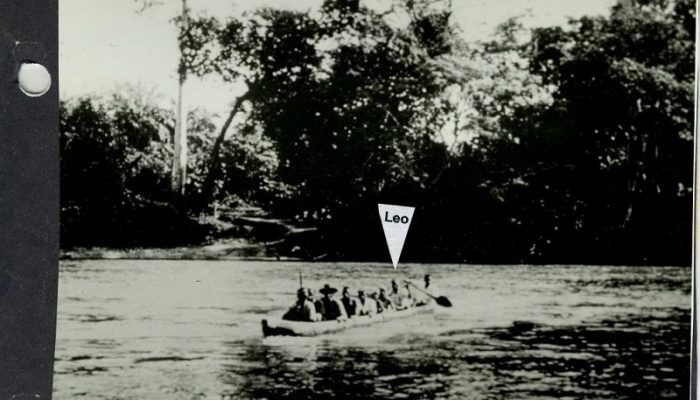 Leo Sarkisian crossing the Mano River in norther Liberia, 1966. Leo Sarkisian in the VoA Music Library, 2012. 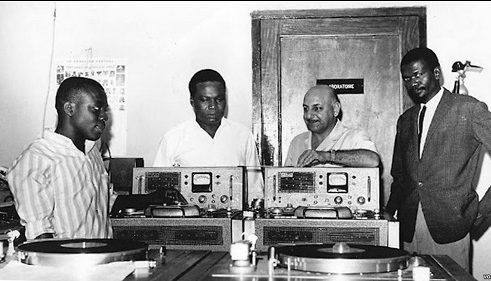 Leo Sarkisian recording in an African radio station. 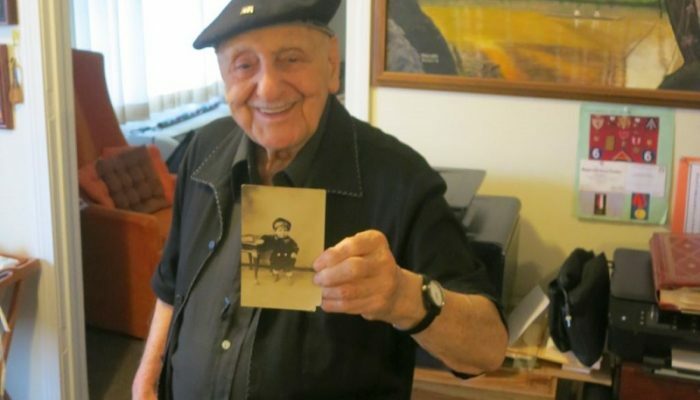 Leo Sarkisian holding a photo of himself as a child, 2015. 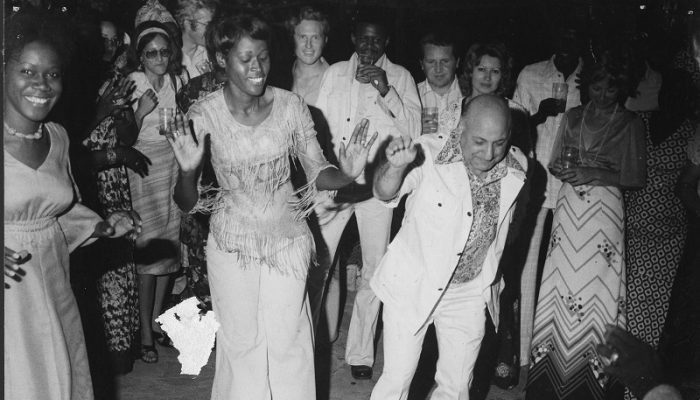 Leo Sarkisian dancing in Bamako, Mali, 1970s. 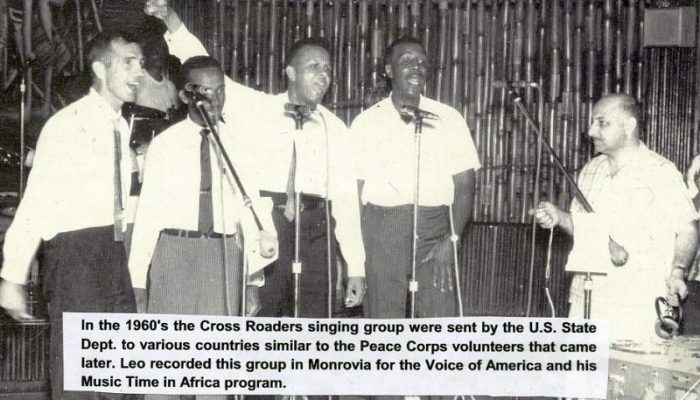 Leo Sarkisian recording the Cross Roaders on tour with US State Department, 1960. Leo Sarkisian recording in Africa. Photo taken from VoA Blog. 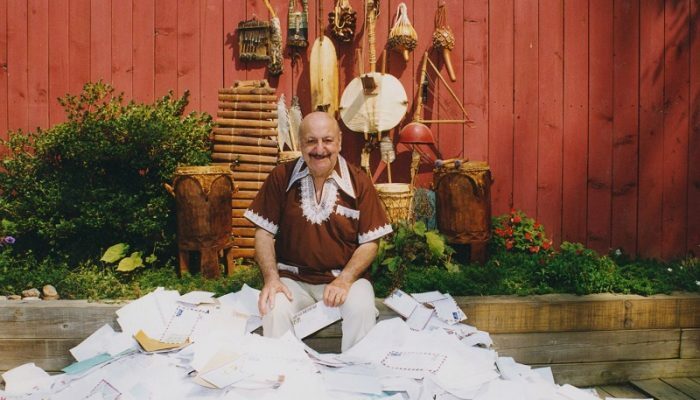 Leo Sarkisian at home surrounded by fan mail, 1970s. 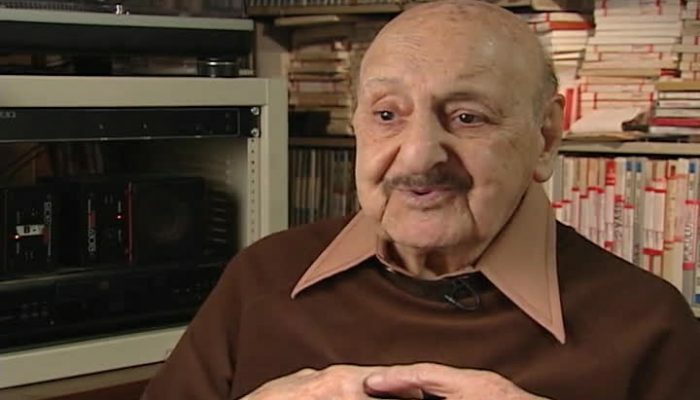 Leo Sarkisian was born January 4, 1921, in Lawrence, Massachusetts. The son of Armenian immigrants, he was a clarinetist with his high school band and orchestra, and studied Middle Eastern music theory with immigrant musicians from Turkey in his hometown. But his talent as an artist earned him a full scholarship at Vesper George School of Fine Arts in Boston. He entered the U.S. Army during World War II, and served in North Africa, Italy, France, Austria, and Germany. Leo married Mary Andonian in 1949. Mary was also from Lawrence and similarly served in WII in naval communications and decoding. They embarked on a journey that has seen them criss-cross the world several times over. For a few years, Leo worked in New York City as a commercial advertising illustrator. He spent evenings at the New York Public Library studying the music of the Middle East, Central and Southeast Asia, China and Japan. With a knack for languages, he picked up Farsi and some Arabic, in addition to the Turkish, Armenian and French he had learned as a child. In the early 1950s, Colonel Irving Fogel, head of Hollywood’s Tempo Records, hired Leo for the company and trained him as an audio engineer. 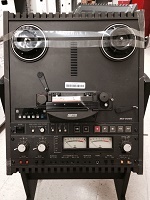 Tempo specialized in acquiring original field recordings that could be used as background music for films. 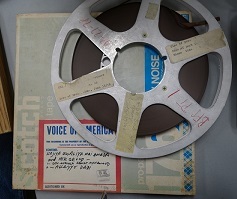 While at Tempo, Leo edited a recording of “Sweet Georgia Brown,” the theme song for the Harlem Globetrotters. He also worked on the background music for “The African Queen,” starring Humphrey Bogart and Katharine Hepburn. Tempo Records sent the Sarkisians overseas, traveling to Pakistan, Afghanistan, and Bangladesh researching and recording music, much of it as guest of the King of Afghanistan. 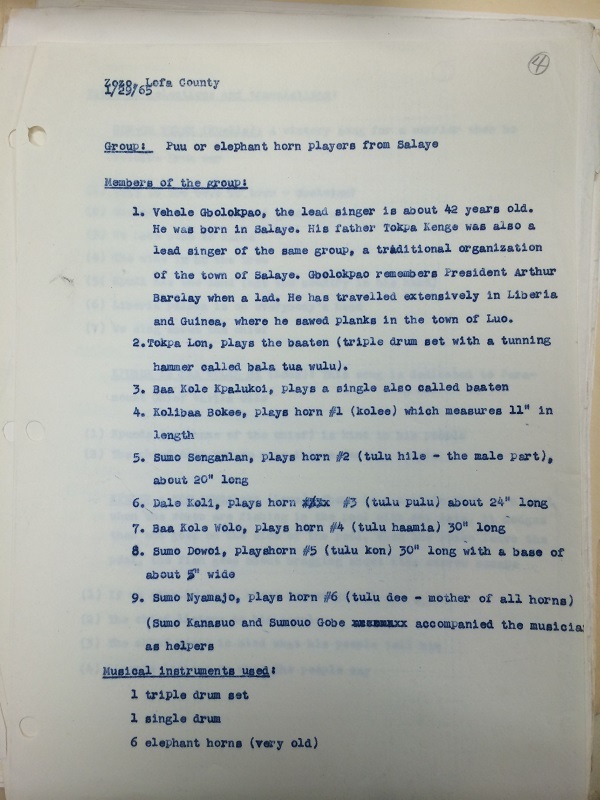 In 1959 Tempo Records assigned him to West Africa to record local music in the newly independent states of Ghana, Guinea, the Ivory Coast, and Liberia. Over the course of his three years in Guinea, Leo traveled with his partner El Hadj Sidiki Diabate (one of the most famous Griots of the modern era) and recorded groups – traditional and modern – in every region of the country. In 1963 while on a visit to Conakry, the capital of Guinea, legendary broadcaster Edward R. Murrow offered Leo a job with Voice of America in Monrovia, Liberia. 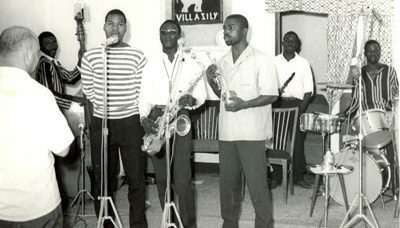 Two years later, in 1965, Leo launched Music Time in Africa as a weekly program that features traditional and contemporary music from all of Africa. 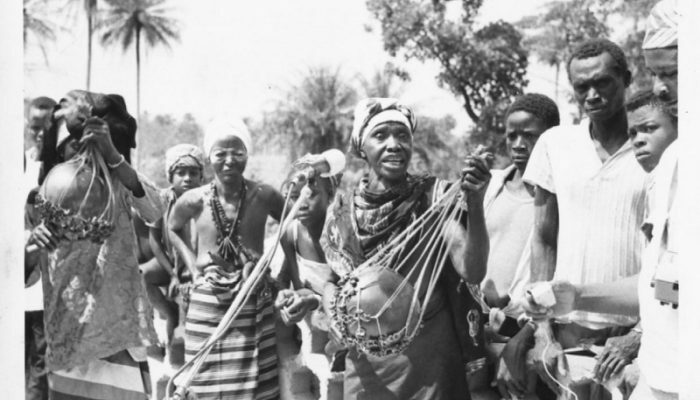 For more than twenty-five years, Leo recorded hundreds of hours of original field recordings in over thirty-eight newly decolonized African nations. On the road, Leo showed his artwork and served as an ambassador for the VOA. 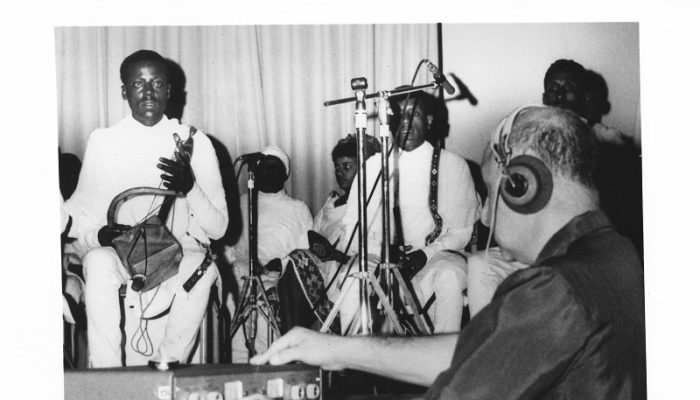 As another major contribution, Leo trained sound engineers across the continent: Radio Tanzania, Radio Comores, Radiodiffusion nationale Tchadienne (Chad), Radio Dahomey, Radio Rurale (Burkina Faso), Radio Burundi, Radio Douala (Cameroon), among them. 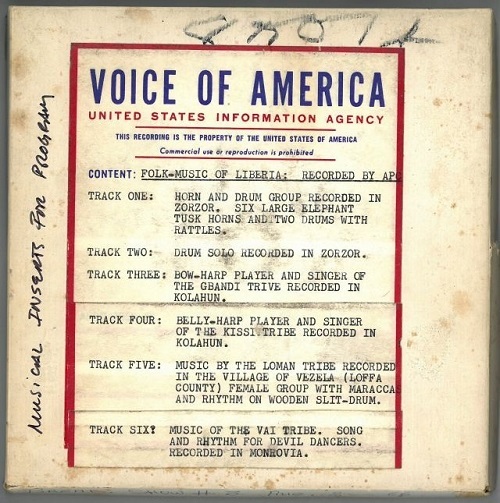 For the Music Time in Africa (MTiA) radio broadcasts, Leo selected tracks from his live field recordings and other regional recordings for weekly or twice-weekly thirty-minute broadcasts. He scripted the thematic programs based on his first-hand knowledge of musical genres and cultures of the African continent. A series of very talented and popular announcers performed the scripts around the selections “inserted” into the program at specifically-timed intervals. 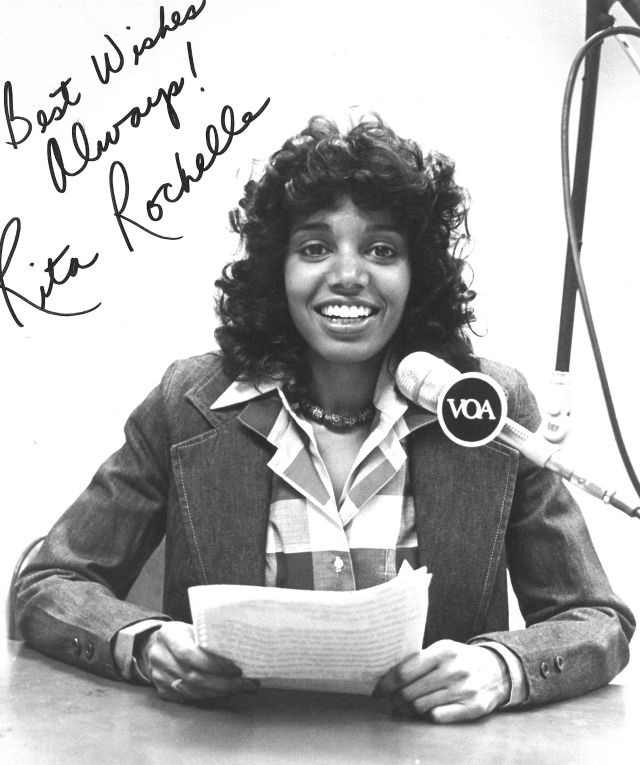 Fifty-one years later the program (now the longest running VOA program) is still on the air every weekend, and continues to reach millions of listeners throughout Africa and the world. Leo retired from the VOA for the final time in September 2012. He and Mary live in Massachusetts, not too far from where they grew up and met. After over six decades of marriage, they still enjoy pursuing life, music, dancing and art together.